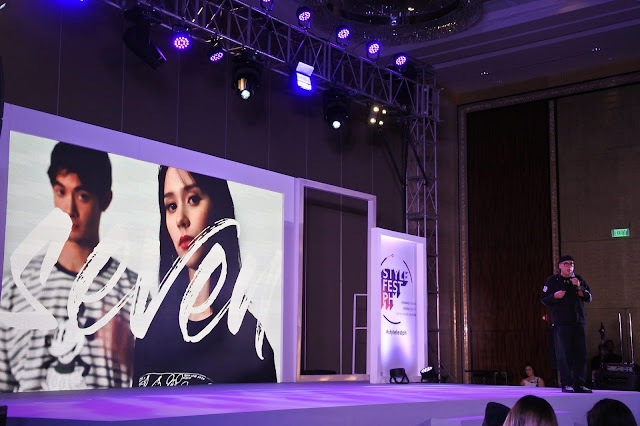 Mark your calendars for Globe Telecom's StylefestPH, a fashion and beauty festival on September 7-9, 2018. This is in partnership with SAGA Events Inc. The StylefestPH festival brings together fashion, beauty, and business in one platform, and highlights local designers and design students, local brands, and young content creators to display their talents and merchandise to both local and international audience. styletalks- Exclusive tips and fashion innovations awaits those who will attend styletalks. This activity will be hosted by innovative thinkers from fashion and beauty brands, digital retailers, and influencers at the Grand Hyatt Manila. stylespace- This is a 3-day expo at the Globe Iconic (BHS Amphitheatre) that brings together local and international fashion and beauty retailers, manufacturers and suppliers, and is designed to connect digital and physical retailers. stylespotting- The Grand Hyatt Manila becomes the hub of the Philippine fashion and beauty industry as the country's most influential designers and brands takes their latest creations to the runway. stylesocials- Get to mingle and make new friends and business contacts. The stylecouncil members are: Inno Sotto, a renowned designer who will also act as the chief mentor; Pam Quinones, a fashion stylist; Paulo Campos, co-founder and CEO of Zalora Philippines; Sarah Santiago, EIC of wonder.ph; Leah de Guzman, head of Globe Lifestyle; Carmina Sanchez-Jacob, co-founder of Fashion Exchange International; and Jigs Mayuga, professional make-up artist. StylefestPH is on September 7-9, 2018 and is brought to you by Globe Telecom and SAGA Events Inc.